Cross-border renminbi settlement in Northwest China's Xinjiang Uygur autonomous region has exceeded 260 billion yuan ($41 billion) since the region launched the business in 2010. As of January, Xinjiang had conducted cross-border renminbi settlement with 90 countries and regions. 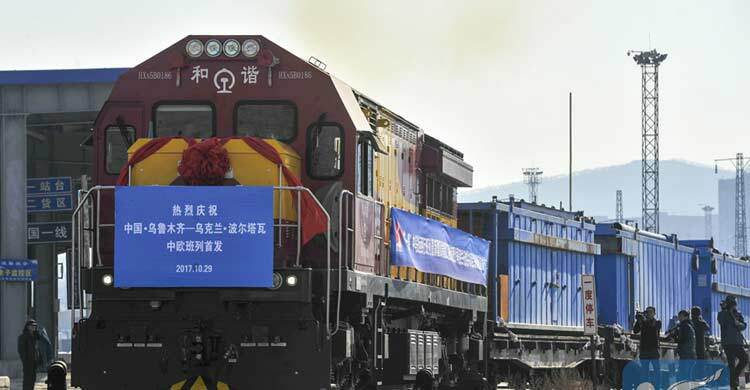 More than 2,500 companies in China have settled 261 billion yuan of cross-border trade over the past seven years, according to the Urumqi branch of the People's Bank of China. With the promotion of Belt and Road Initiative, Xinjiang, an important commercial hub along the Silk Road Economic Belt, has seen its trade activity with countries in Central Asia booming. The business provides support to expanded use of yuan in cross-border trade. In 2017, the actual settlement volume of cross-border renminbi in Xinjiang rose by 45.6 percent to 37.8 billion yuan, accounting for 37 percent of the total cross-border transactions in the region.